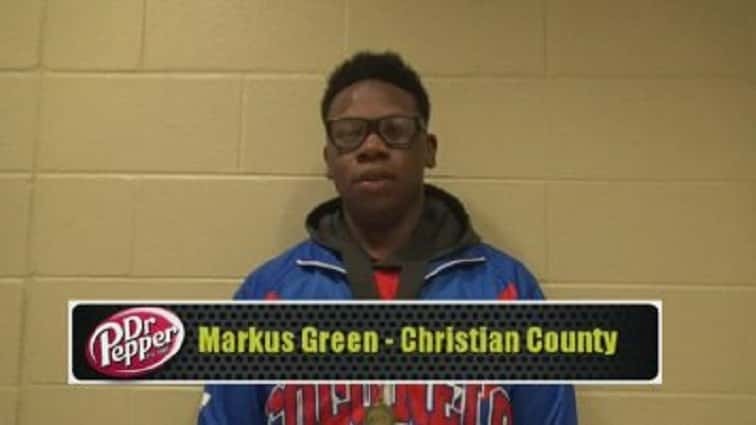 Coming into Saturday’s Region 1 wrestling tournament, Christian County’s Markus Green had lost all three of this season’s meetings with McCracken County’s Esmon Morris. However, Green saved his best for last with a 6-1 victory over Morris in the championship match of the 285 lb. division. After Green collected his medal and came down from the podium, he talked about coming back from a knee injury in last season’s region tourney, and his gameplan against a familiar opponent.